Let me start by saying that I’m a fan of Costco. Cheap gas out front, decent selection in the store and I really dig the $1.50 hot dog/soda combo (be sure to ask for sauerkraut). And if you’ve got a family, you can buy a ton of stuff in bulk and save quite a bit of cash. It’s a very successful business model. But it doesn’t work so well for a single guy like me. Sure I’d love to get a bag of salad, but there’s no way one lone dude can chow down 3-pounds of leafy stuff before it goes bad. Even Bugs Bunny would probably say “What the hell, Doc” as he tries to polish off a “Kirkland Brand-sized” (aka “mondo-gi-hugic”) bag of carrots. For some people, shopping is actually more cost effective when you buy things in smaller quantities or one at a time. Now what does this all have to do with running, you may ask? Well kick back, grab yourself a Costco hot dog (with extra sauerkraut) or one of those weird chicken-bake things they sell and I’ll tell you. When we pay for races, it’s typically an “a la carte” world. One race, one fee. Pretty straightforward, right? For those of us who race a lot, 14 half/full marathons slated for me in 2014 (plus some additional 10Ks), those a la carte fees can really do damage on a wallet. Also, race prices have gone up in the past few years. In several instances, way way up! I just paid $195 to register for the 2014 Disneyland Half Marathon in August… it was $125 in 2011. And plenty of other races have seen more than just a “cost of living” increase over the last few years. And while you can certainly save money by registering as early as possible, you still don’t get a “Frequent racer’s” punch card or a “Buy one get one free” promo. Why can’t someone do an “All-you-can-eat” running buffet? Well, credit the Rock ‘n’ Roll Marathon series for finally giving the running public a break (especially since the races in their series tend to be on the rather pricey side). 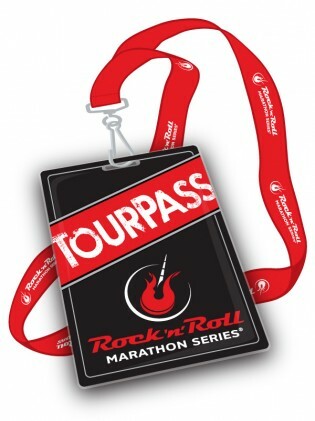 Back in 2012, the Rock ‘n’ Roll series initiated their “TourPass” which allowed you to pay one lump sum ($299 back then) and you could run as many of their races as you could get to. 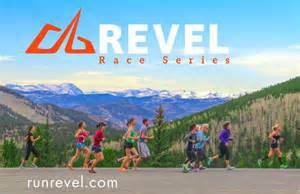 Now the system wasn’t perfect, as they tacked on an additional “Registration fee” for each race you chose. $449 buys their “TourPass Global,” allowing you access to almost every race Rock ‘n’ Roll puts on worldwide (approximately 30 events). $399 gets you the “TourPass North America” (about 24 events). 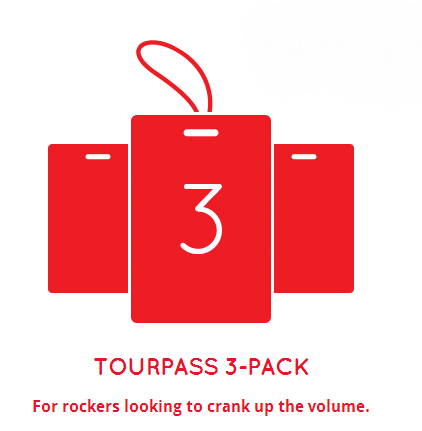 And for $199 you can get a “TourPass 3-Pack,” which lets you pick a trio of races anywhere on the continent. There is still a 1-time “Processing fee” (aka “Squeeze a few extra bucks out of you fee”), but it’s much better than it was in years past (aka “A bit less annoying”). Now, of course this only covers the race fee and if you plan to be a globetrotter or even a continent-trotter, you can still expect to shell out a small fortune for airfare, hotel, rental car, food, entertainment, souvenirs and all that jazz. But it’s still a step in the right direction. And since several of Rock ‘n’ Roll’s races are conveniently located in and around California, it makes good sense (or “cents” if you’re feeling punny) for an LA boy like me. So, yesterday I “ponied up” for the 3-Pack and plan to use it for the San Diego Rock ‘n’ Roll Marathon (June), Los Angeles Rock ‘n’ Roll Half (October) and either the Las Vegas Rock ‘n’ Roll Half (Nov.) or Seattle Rock ‘n’ Roll Half (June). Purchased separately, for any combo of those 3 races I’d be spending around $300- $325 in entrance fees. I’m basically getting a “Buy 2, get 1 free deal” or saving around $100. My advice is to check and see if the 3-Pack or other TourPass options work for you… it did for me (if it does for you, let me know and you can buy me a beer to say “thanks”). Yup, $100 bucks saved. Feeling pretty financially savvy right about now. Who am I kidding; I’ll probably just use the money to sign up for another race or blow it on race souvenirs. Damn you Rock ‘n’ Roll… you win again. Now, if you’ll excuse me. 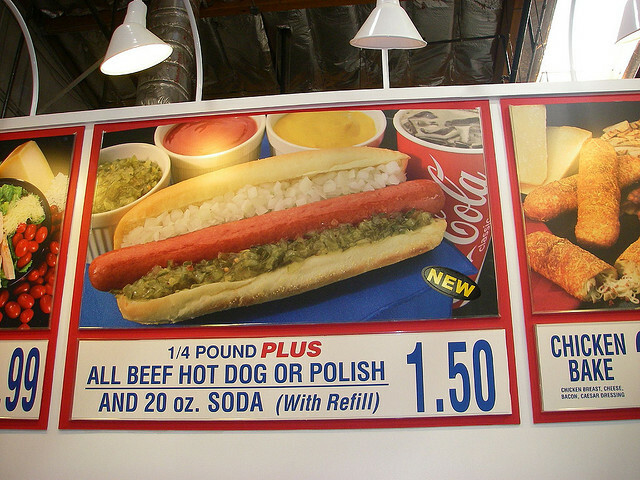 I’m going to drown my sorrows with a Costco soda and hotdog… with a whole lot of sauerkraut. (Let me know if you come across any other good racing deals… and SoCal residents be sure to check out RaceShed.com for good discounts on local races). Posted on February 19, 2014, in General. Bookmark the permalink. 6 Comments. I’m a big fan of the Rock ‘n’ Roll Series, and I too purchased the 3-Pack at the beginning of the year (Arizona, San Diego, and Los Angeles are my races of choice this year). It really is a great deal, and the RnR events have not disappointed me yet. Always a fun time, and really well organized. I like R ‘n’ R as a whole, although I do think they’re a little expensive and I was at one of their “slip-up” races (Las Vegas ’11). Otherwise, they’re typically well organized and I think the TourPass (along with the “heavy medals”) is a really good idea. Really great post. I love how you wrote it, so entertaining to read, and interesting. I can’t believe how expensive races in the US are… add to that that you usually have to travel, be it a plane ride (plus hotels, cabs, etc) or just a few hours in the car, more extra spending. Thank you very much… glad you enjoyed it. Races in the US have jumped up quite a bit in recent years, partially tied to the explosion of new runners (especially in the half-marathon distance) and demand. Disney is definitely the most over-priced, but it still sells out in a matter of hours so they have no motivation to go cheaper. Deals are still to be had and some races just cost less. I just registered for the Madison half marathon (at my alma mater) and it only cost me $65. I got the Tour Pass ’13, which seemed like a good deal to me. I’m playing catch up in a group of 50 Staters who have a 10 year head start. I did 11 RocknRoll races last year, earning me the well-deserved status of Rock Idol, saving a ton of money off the regular registration fee. Wow… that’s the way to do it Larry. Talk about getting your money’s worth. Congrats, you rockstar! So, how many states have you done and how many more do you plan to check off the list in 2014?